Falcons are strong, fast fliers with great agility, and the Apache® Falcon is no exception! 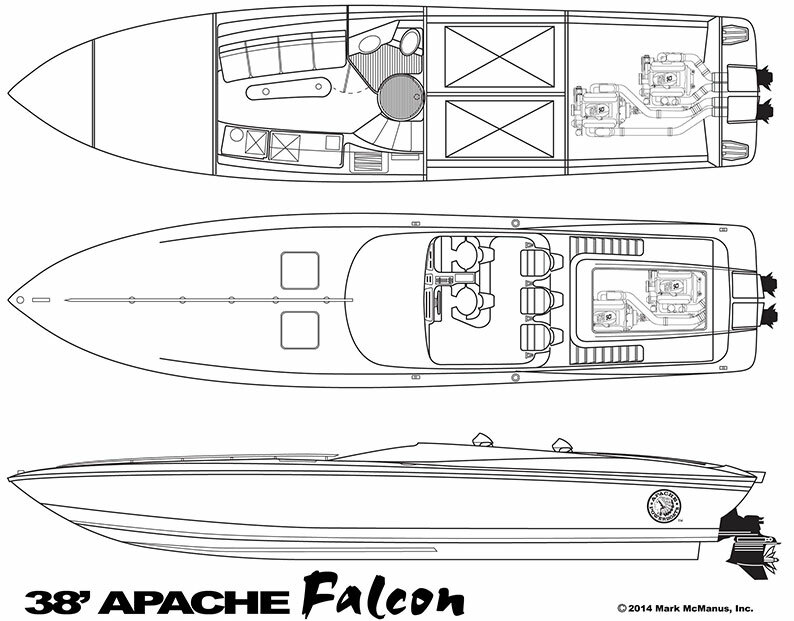 The Apache® Falcon is offered with twin staggered engines with a 5-occupant stand-up cockpit and a half cabin which includes a galley. The higher freeboard allows the Apache® Falcon to span the waves for a faster average speed in adverse sea conditions. The unique transparent engine hatch displays our meticulous attention to detail and thousands of horsepower at your fingertips. 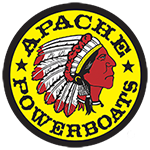 With many of the same winning design components found in our World Champion 41’ and 47’ Apaches®, the Apache® Falcon is the perfect day boat for an offshore adventure. Twin Mercury Racing with 565 HP Bravo One XR ITS out drives. Twin Mercury Racing with 600 HP Bravo One XR ITS out drives. Twin Mercury Racing with 700 HP with Dry Sump M6 out drives.